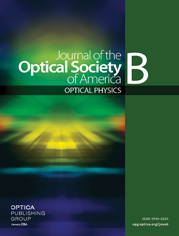 An analytical method based on a renormalized q parameter for Gaussian-beam propagation and properly matched self-consistent complex q parameters is proposed to aid in the design of arbitrary-astigmatism-compensated Kerr-lens mode-locked ring cavity lasers. The q parameters throughout the ring cavity can be calculated by solution of an algebraically quadratic equation for an arbitrarily thick Kerr medium when the intracavity laser power is less than the self-trapping power. The Kerr-lens mode-locking strength at the curved mirror was calculated over the stable range. The results indicate that the astigmatism is best compensated so that the stable range of x and y directions have optimal overlapping. Although to maximize the hard-aperturing effect the curved mirror separation must be at the far edge of the stable range, pump and cavity field matching inside the Kerr medium is also necessary. In addition, the insertion of a vertical slit is more effective than insertion of a horizontal slit. A spiking phenomenon is found in the intracavity z scan curve, which can be observed only with thick Kerr materials and a high laser power.